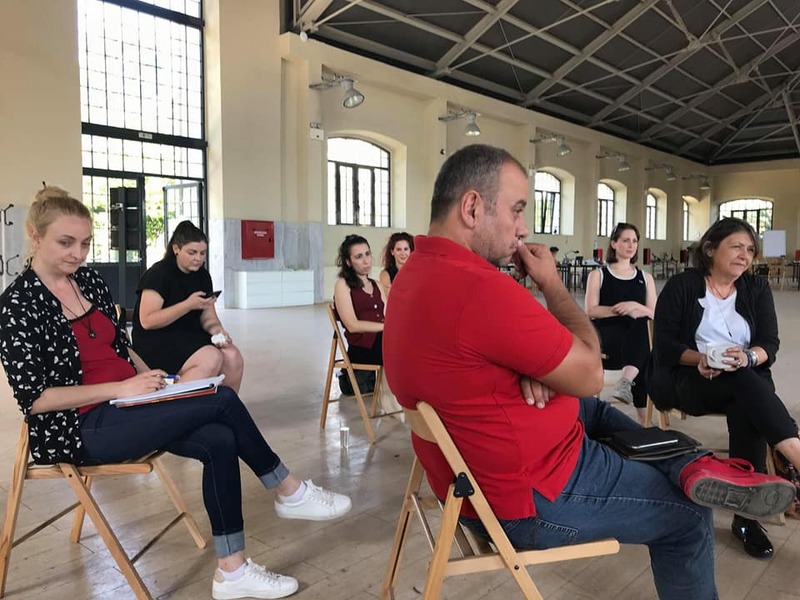 LABattoir project, in collaboration with Hyperwerk Institute and Cultural Entrepreneurship Hubs by Goethe-Institut, organised the 3rd Social Research Studio of Urban Social Studies in Thessaloniki. 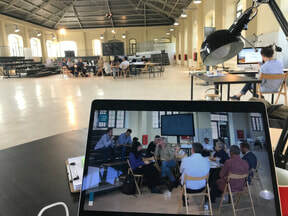 Training: Co-llaboration, Co-working, Co-learning... How to realise the CO? 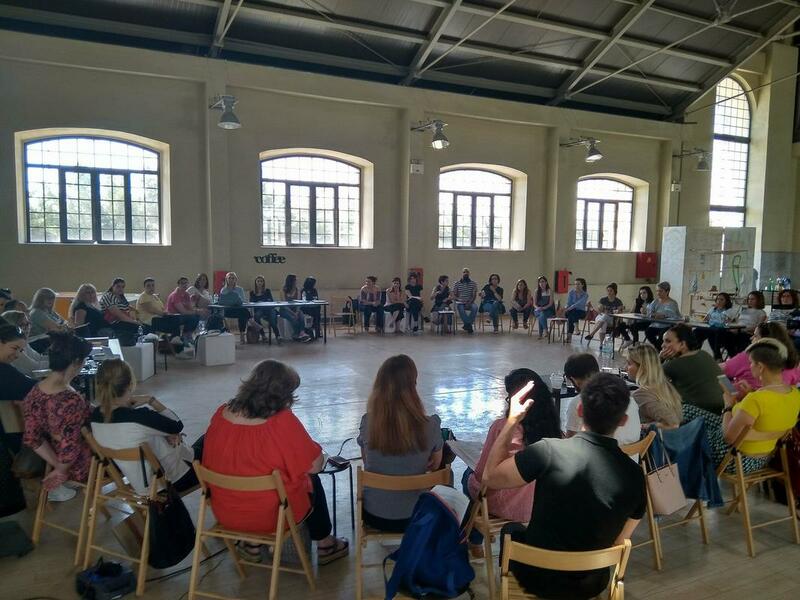 Various models of self-organization, co-operation and collaborative learning, as well as the specific self-organising capabilities within the LABattoir program, were presented in this workshop through the identification of possible rules and structures. Labattoir in collaboration with Hyperwerk Institute and Freiraum project by Goethe Institut organised the 4rd Media Lab workshop Exploring New Video Formats which as a case study of the Freiraum program aims to design and produce a video/installation for the program to be presented in March in Berlin and Thessaloniki. Βιωματικό εργαστήριο: Η αφηγηματική τεχνική "Storytelling"
H σειρά διαλέξεων Empowerment Lecture Series εντάσσεται στο πρόγραμμα του Labattoir Project στο πλαίσιο της στρατηγικής του συνεργασίας με το Cultural Entrepreneurship Hub του Goethe-Institut Thessaloniki. 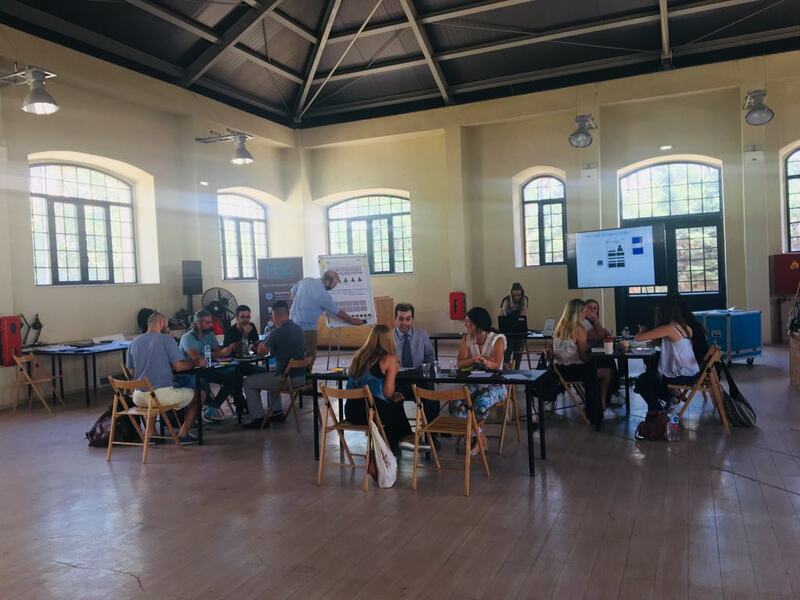 Βασικές Αρχές Marketing, Internet Marketing & Επικοινωνίας για startups. "Μια φορά κι έναν καιρό...Η αφηγηματική τεχνική (storytelling) ως επικοινωνιακή πρακτική πειθούς, δέσμευσης, και …πωλήσεων." 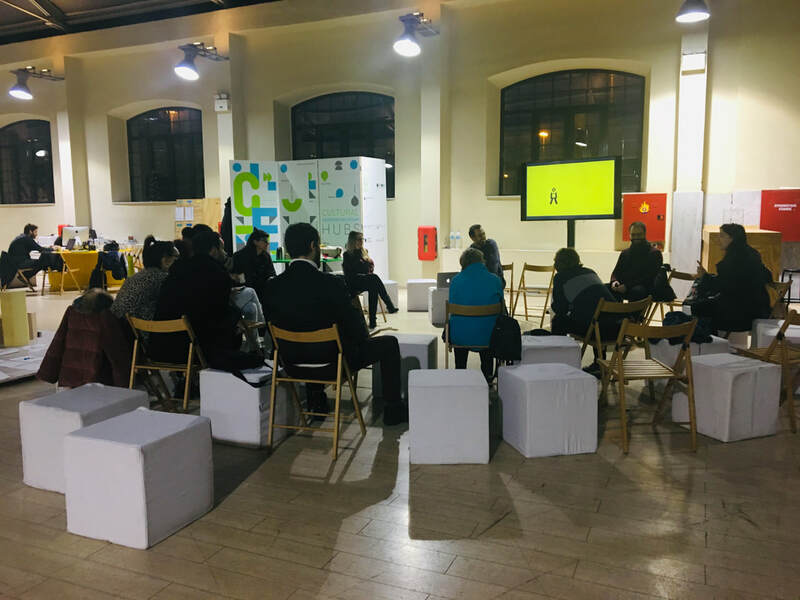 To Labattoir σε συνεργασία με την Action Finance Initiative - AFI και το Cultural Entrepreneurship Hub της Θεσσαλονίκης ένα διεθνές πρόγραμμα του Goethe Institut και του Strascheg Center for Entrepreneurship διοργάνωσε το βιωματικό σεμινάριο με θέμα: "The Me Company: Γίνε ο CEO του εαυτού σου και εξασφάλισε την επαγγελματική σου επιτυχία. Η τέχνη της δημιουργίας μίας μοναδικής επαγγελματικής ταυτότητας (Personal Brand)". 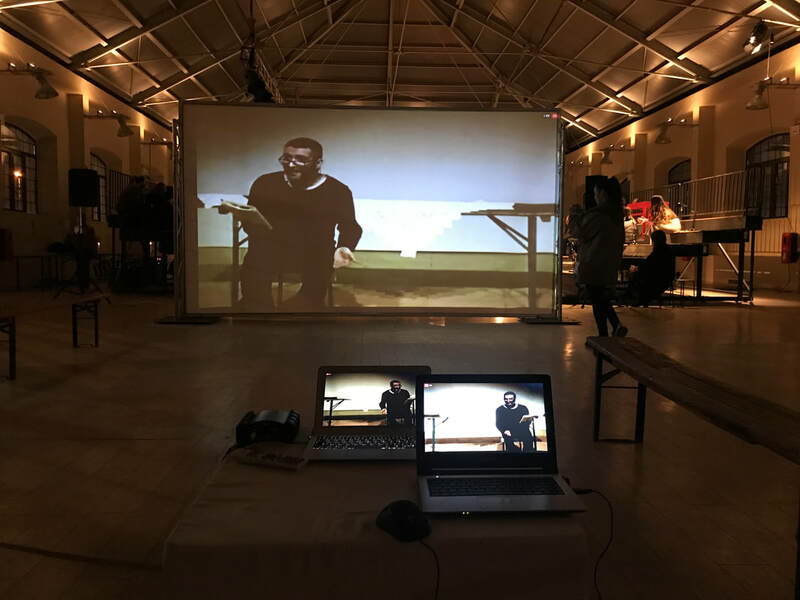 A multiple and modular poetry performance, two cities, 20 artists uniting their voices in an open event live broadcasted in both cities, Thessaloniki, Greece and Carlisle, England, which for a few hours were mirrored, through speech, language and image, voice and hearing. 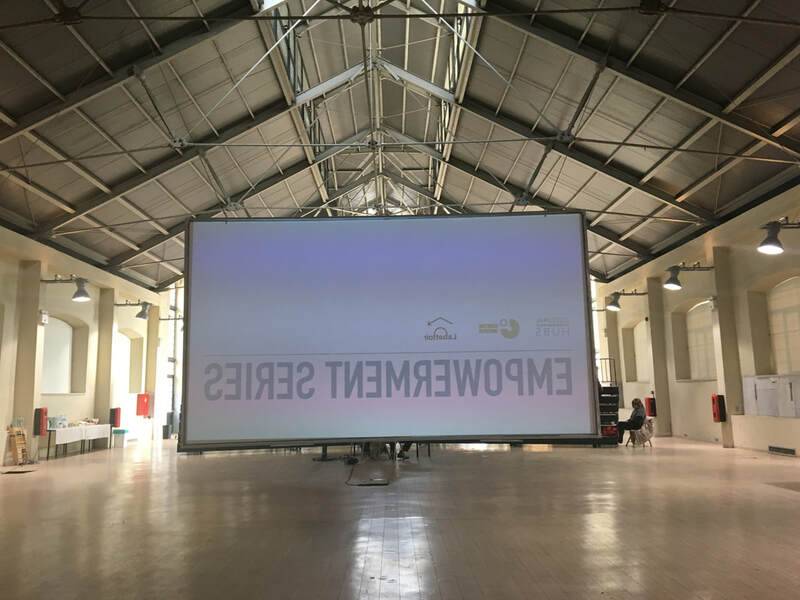 To Cultural Entrepreneurship Hub of Thessaloniki, ένα πρόγραμμα του Goethe-Institut Thessaloniki και του Strascheg Center for Entrepreneurship σε συνεργασία με το Labattoir Project, διοργάνωσαν το Creative Cardio, ένα εντατικό πρόγραμμα υποστήριξης ομάδων που θέλουν να δημιουργήσουν επιχείρηση στους κλάδους των πολιτιστικών και δημιουργικών βιομηχανιών ή έχουν ήδη ξεκινήσει τα πρώτα τους βήματα. 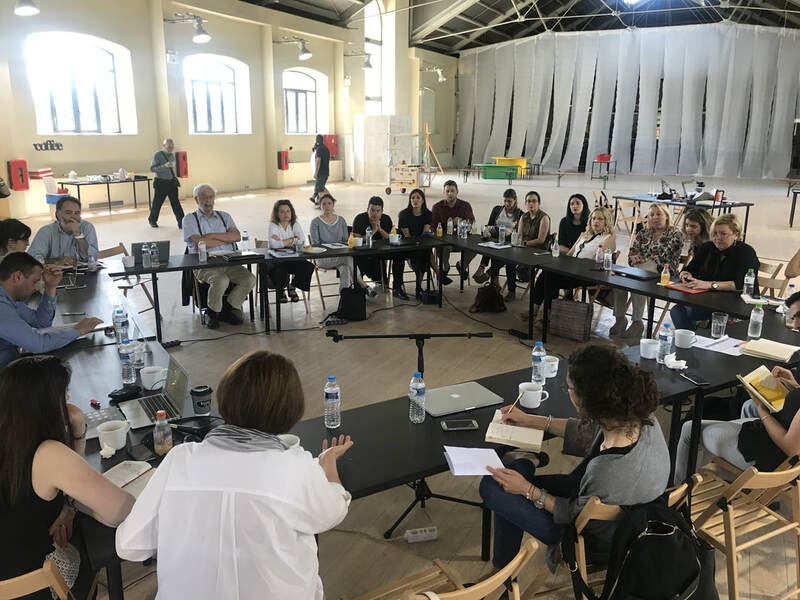 LABattoir project, in collaboration with Hyperwerk Institute and Cultural Entrepreneurship Hubs by Goethe-Institut, organised the 2nd Social Research Studio of Urban Social Studies in Thessaloniki. 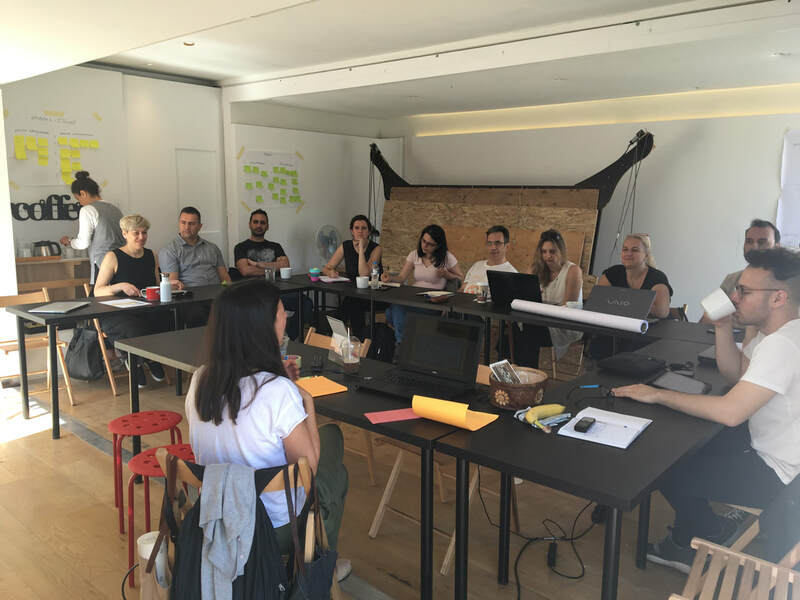 A 5-day workshop, in collaboration with Hyperwerk Institute and Freiraum project by Goethe Institut organised the 3rd Media Lab Exploring New Video Formats which as a case study of the Freiraum project aims to produce a video - recording facility. 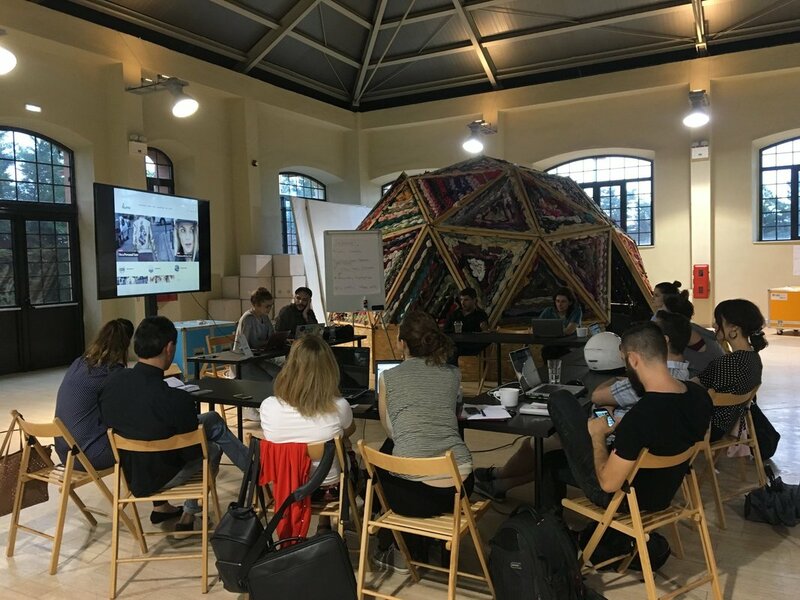 A new chapter begins for Cultural Entrepreneurship Hubs program with its collaboration with LABattoir. 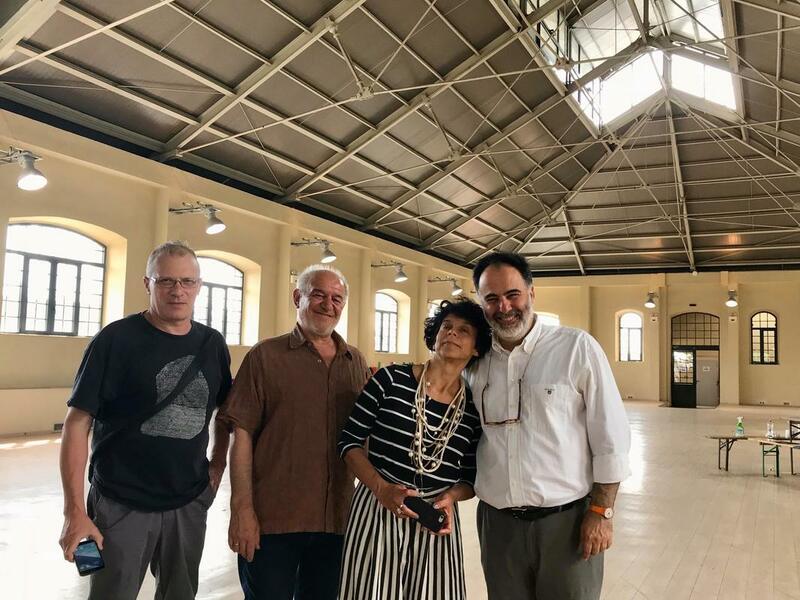 LABattoir will provide the physical space where the hub of Thessaloniki will be installed, while at the same time will organise a new series of events which will be realised by the end of 2019. Special thanks to KEΘΕΑ printing house "Σχήμα & Χρώμα". 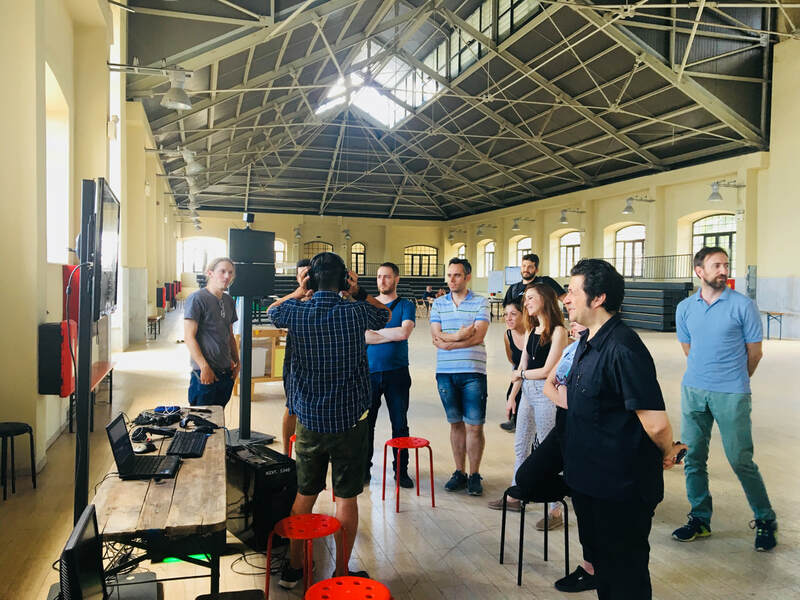 One of LABattoir's teams, Media LAB, invited the audience to an open discussion in order to get them to know more about the team, its equipment and its current projects, as well as, to invite anyone interested to actively participate in Media LAB's projects. 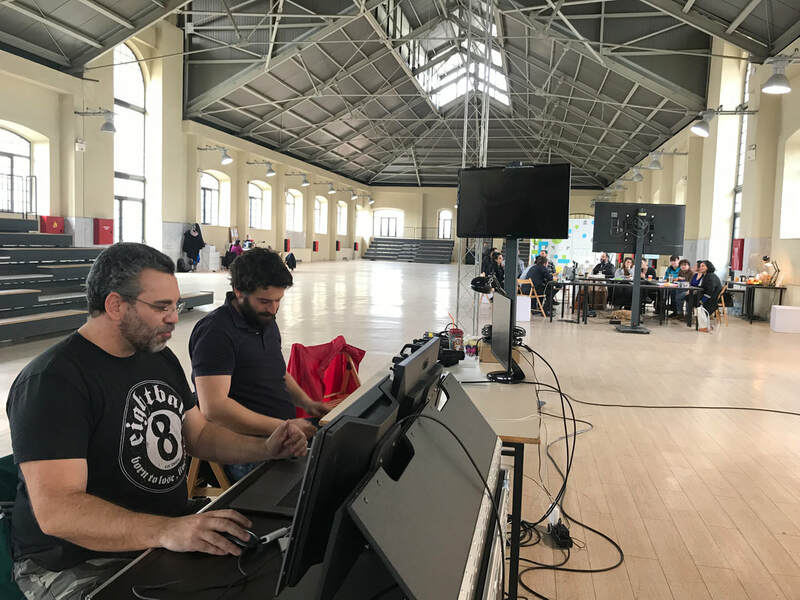 LABattoir project, in collaboration with Reworks Agora and THEMA, organised the Music Production Lab, Ableton Live & Push with AND.ID. 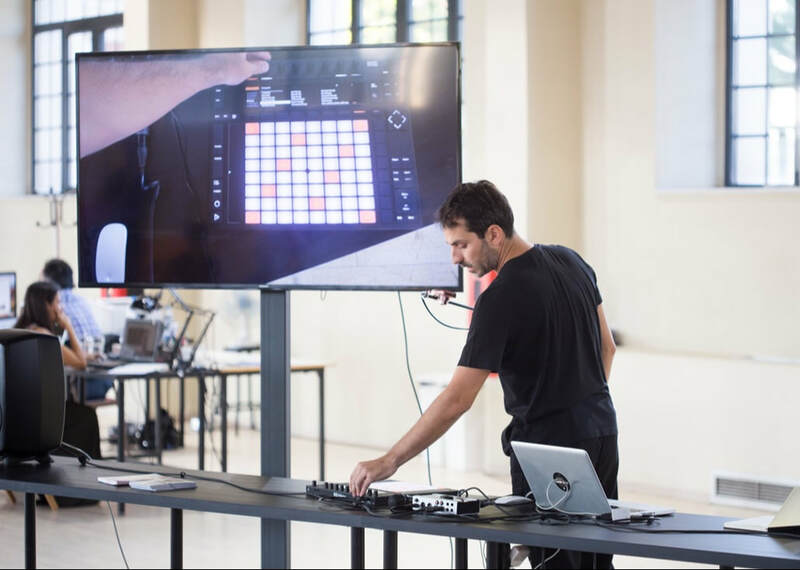 Music producer AND.ID, an experienced Ableton user, introduced participants to the basics of how to make music with Ableton's Live and Push tools using the computer as an instrument. 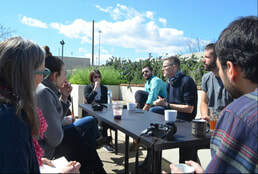 Thomas Koch, moderator of the workshop Artistic Approaches to Immersive media that happened in July, returned to Thessaloniki and had a follow-up meeting with the participants of the workshop regarding their progress and future ideas for projects. 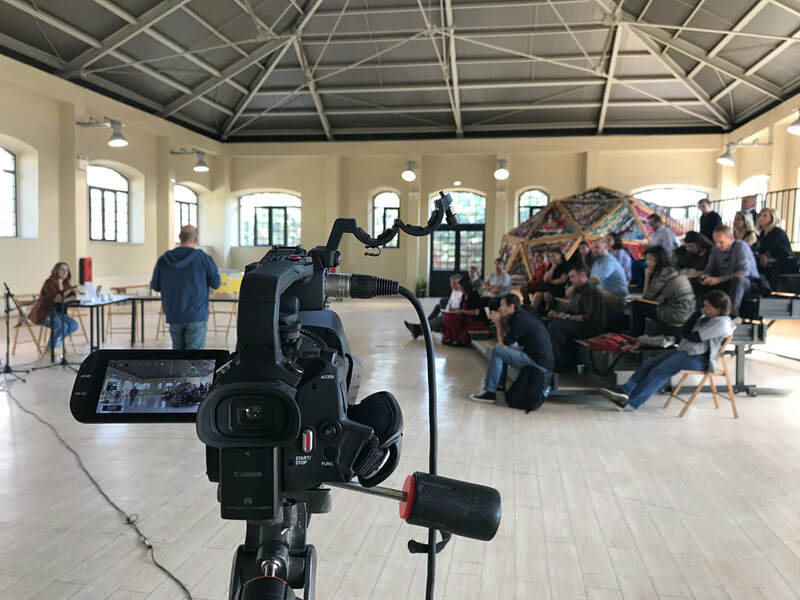 The workshop introduced basic insights into the current state of the technological developments of modern audio- and video production and reproduction systems, as well as hands-on exercise exploring their artistic potential and challenges. 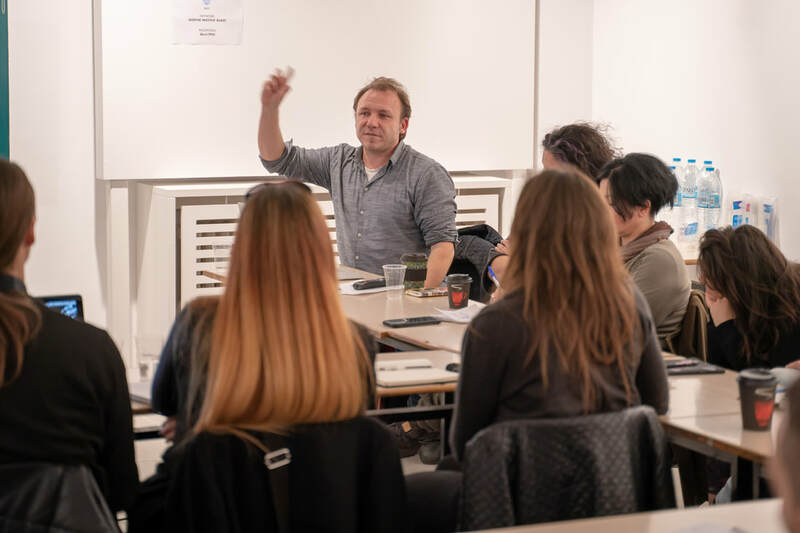 The second workshop of the Media LAB workshop series with Thomas Koch was organised by LABattoir project in collaboration with Artecitya & Freiraum programs by Goethe Institut Thessaloniki. 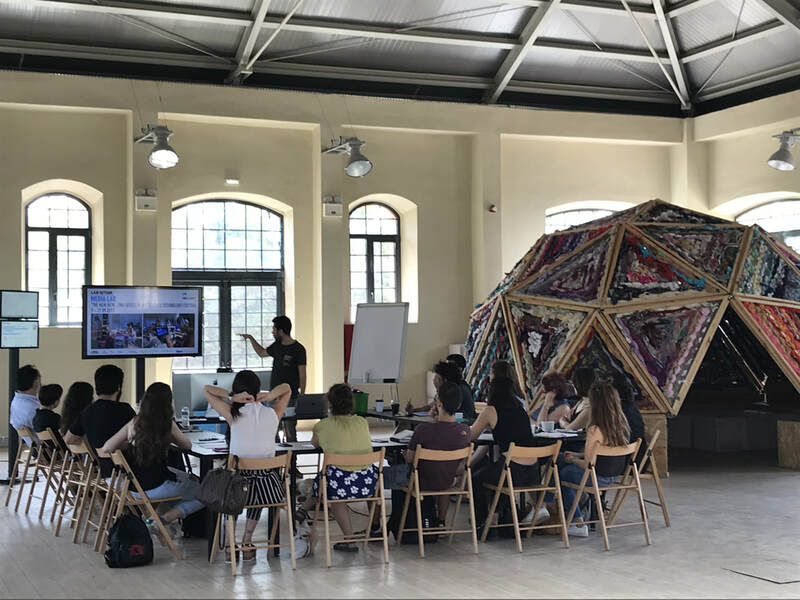 LABattoir hosted the 3rd day of Summer School: Thessaloniki International Media Summer Academy 2018 with "New Trends in Media and Journalism: Disinformation, Verification of News and Constructive Journalism in a Changing World" being the main topic. 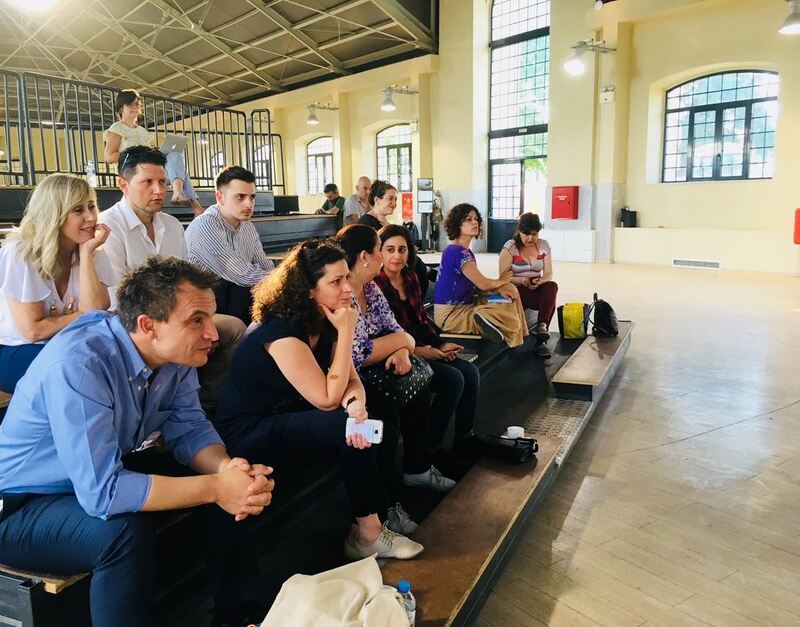 Presentation of "Transfer International" program that finances your ideas and promotes your artistic collaboration with creatives and artists from the area of North Rhine-Westphalia. 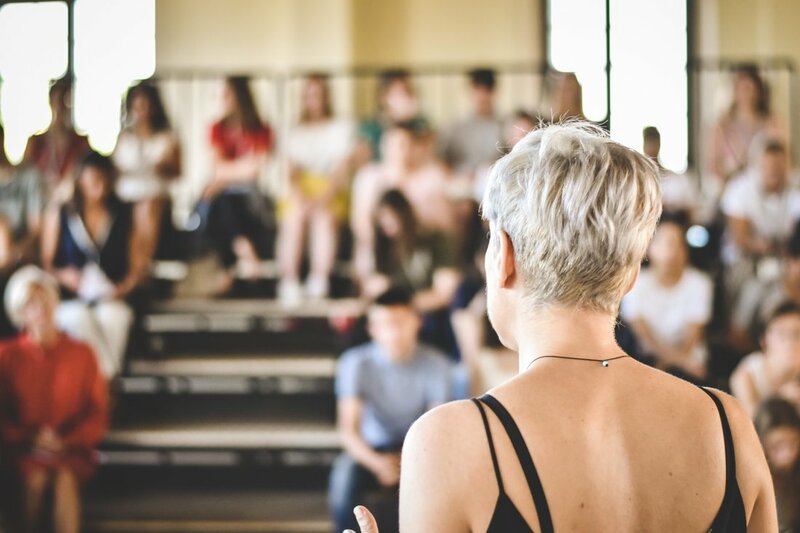 Cultural Management Academy, powered by Goethe Institut Thessaloniki, is a post-graduate program for cultural management aiming at capacity building and stimulating exchange and collaboration in the Balkans and South-Eastern Europe. 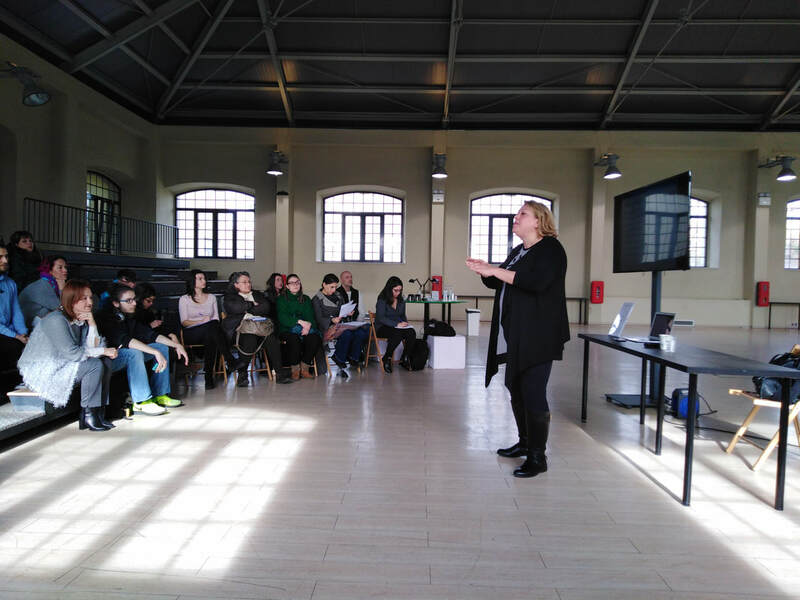 LABattoir hosted the last two days of the Academy in Thessaloniki and presented its mission and vision to the participants. 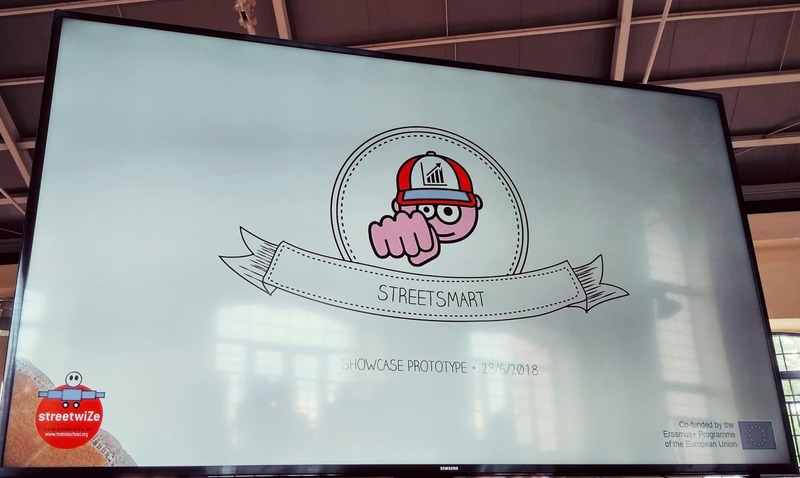 The Streetsmart application concerns mobile school workers (psychologists, social workers, teachers etc) organised by NGO Praksis and Arsis and hosted by Labattoir Project. 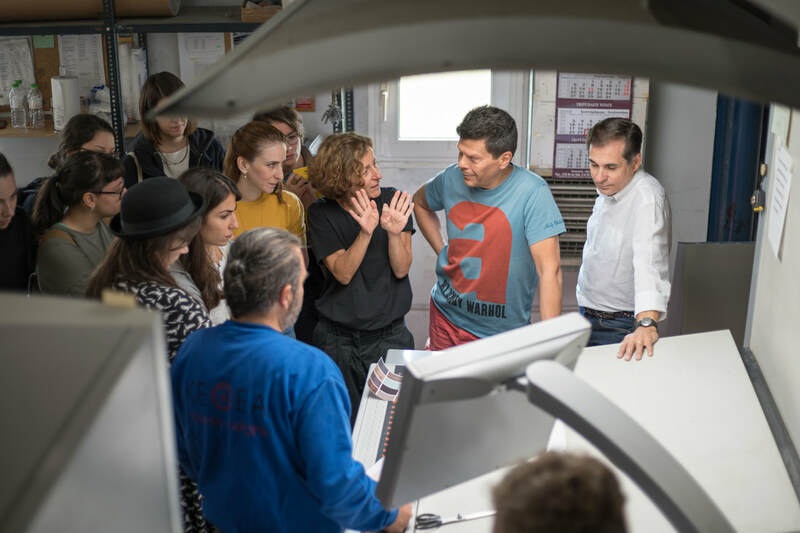 A talk by Aristotle Loumis, the Founder and CEO of Ellison Eyewear, organised by U.S. Consulate General in Thessaloniki and hosted by LABattoir. ​An event dedicated to sustainability of luxury products/brands, and innovation. 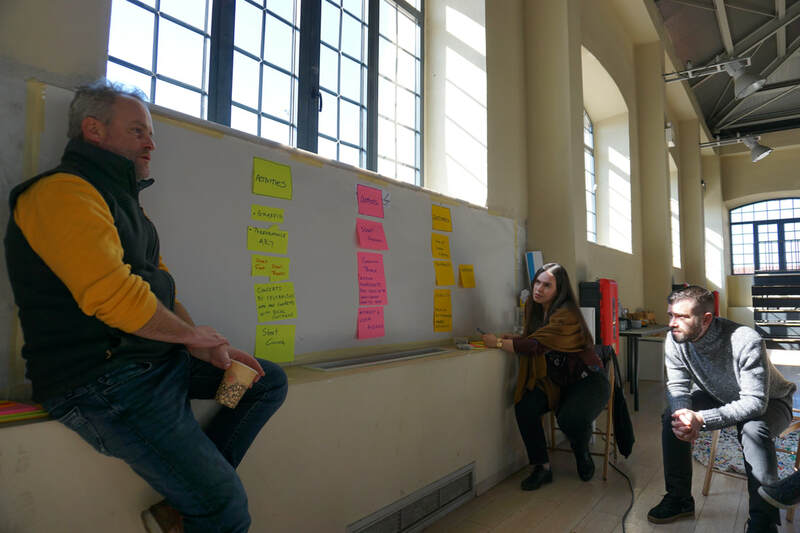 DIY@LABattoir was a two-day workshop aimming to introduce the participants to the tools of Service Design, and through their use to suggest custom-made solutions to a challenge that LABattoir proposed. 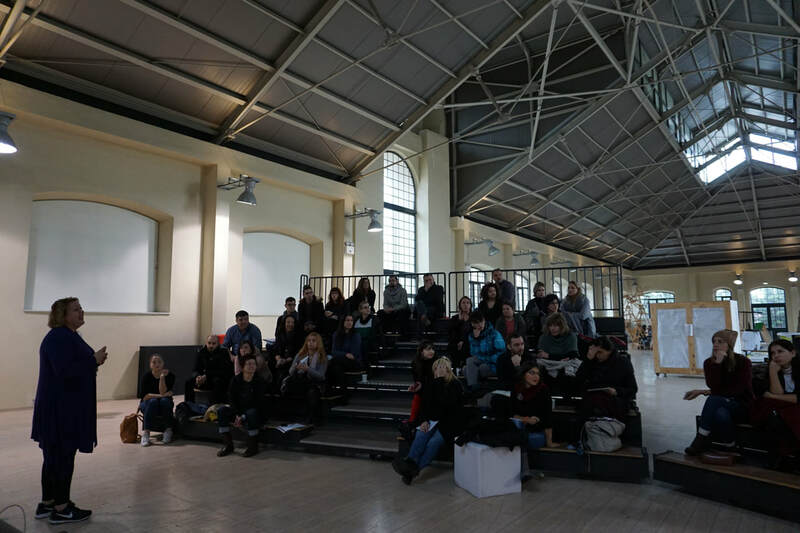 The workshop was organised and facilitated by Hellenic Design Centre in collaboration with LABattoir project. 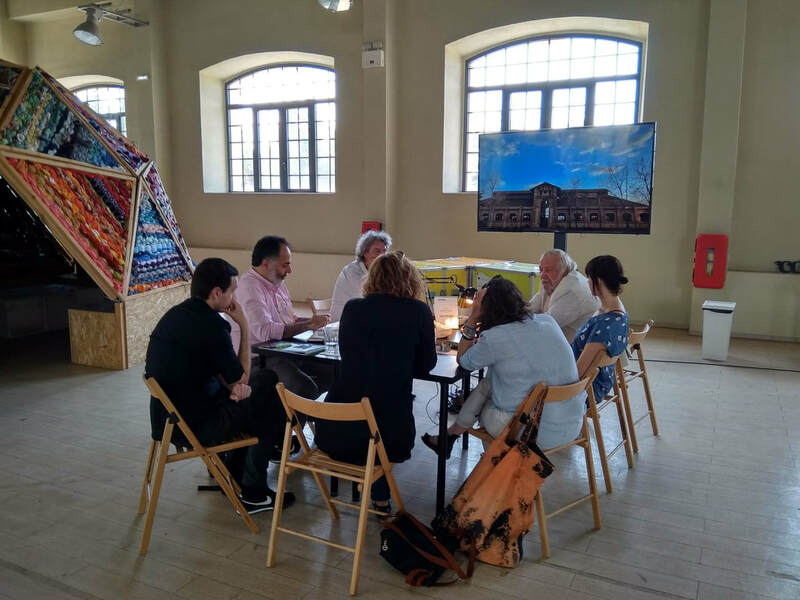 Meeting at the Old Slaughterhouse with the deputy mayor of Culture Elli Chrysidou, Mr. Aris Kalogiros from Goethe Institute of Thessaloniki and artistic director of Labattoir project Mr. Christos Savvidis about the collaboration with Labattoir project and Cultural Entrepreneurship Hubs (HUB). 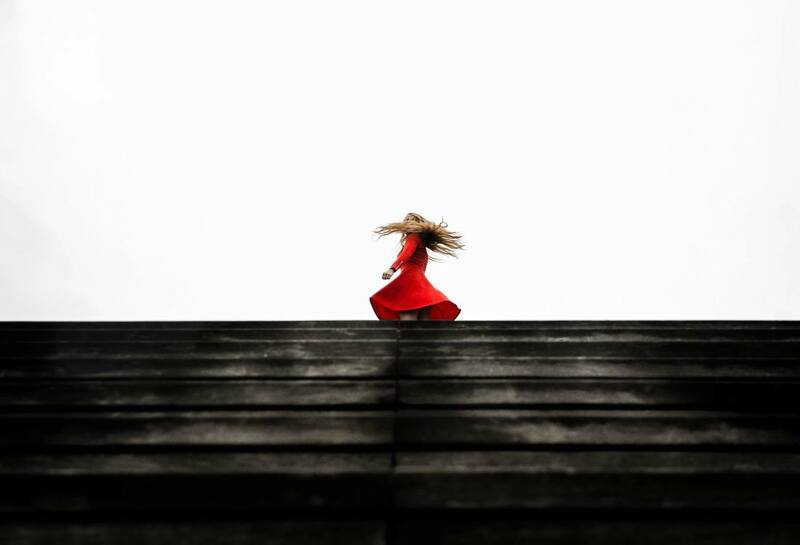 ​Introduction to the main concepts on Audio Media and the narration of real stories with sound. Recording with portal devices. Creation of original content for Documentary. 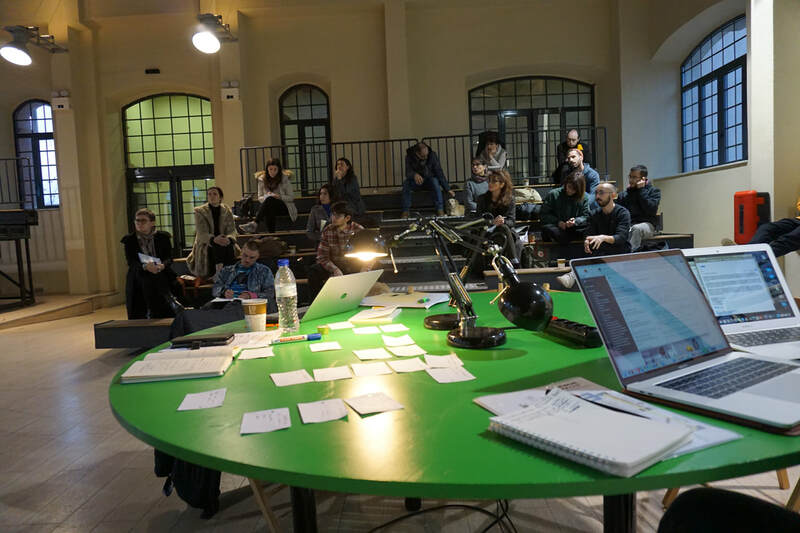 The first workshop of the Media LAB workshop series with Dr. Evi Karathanasopoulou was organised by LABattoir project in collaboration with Artecitya & Freiraum programs by Goethe Institut Thessaloniki. Workshop "Sales Projections for Creatives & Artists-Hands on Workshop" by Dimitris Ntempos, organised by the Cultural Entrepreneurship Hub Thessaloniki in collaboration with Labattoir project and Goethe Institut of Thessaloniki. Meeting with the artists Derek Eland and Lucinda Guiness. 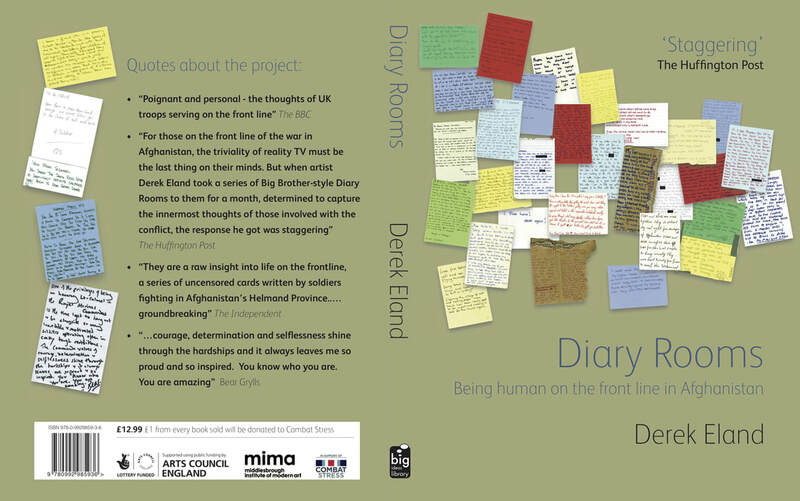 The artists presented their project "Diary Rooms" and discussed the potential of collaborating with project Labattoir. Workshop organised and facilitated by NGO Arsis, addressed to child psychologists and social workers about fostering of children. Hosted by LABattoir. 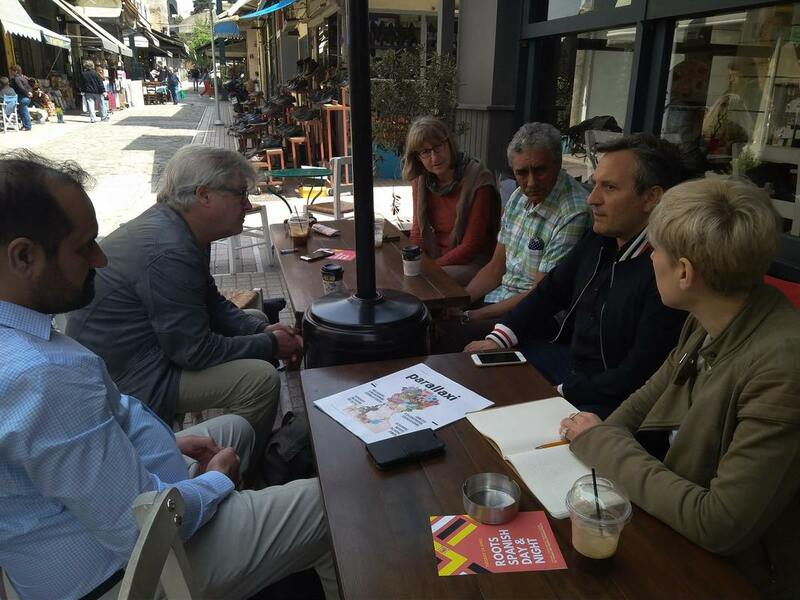 First meeting of the projects of the Municipality of Thessaloniki funded by Institute Stavros Niarchos. 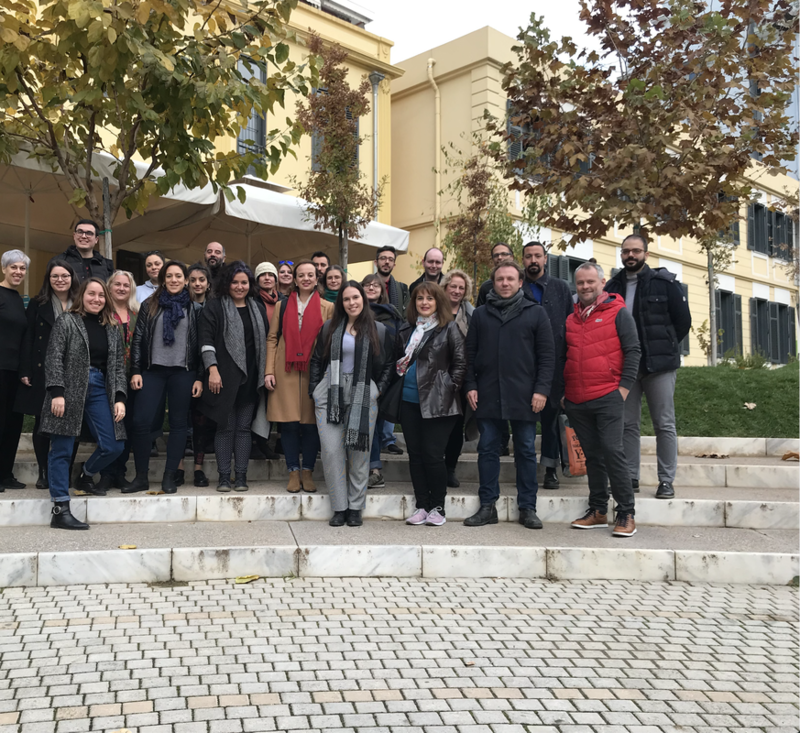 The Municipality of Thessaloniki was represented by the deputy Mayor of Culture, Elli Chrysidou and the Deputy Mayor of Urban Resilience, Giorgos Dimarellos. 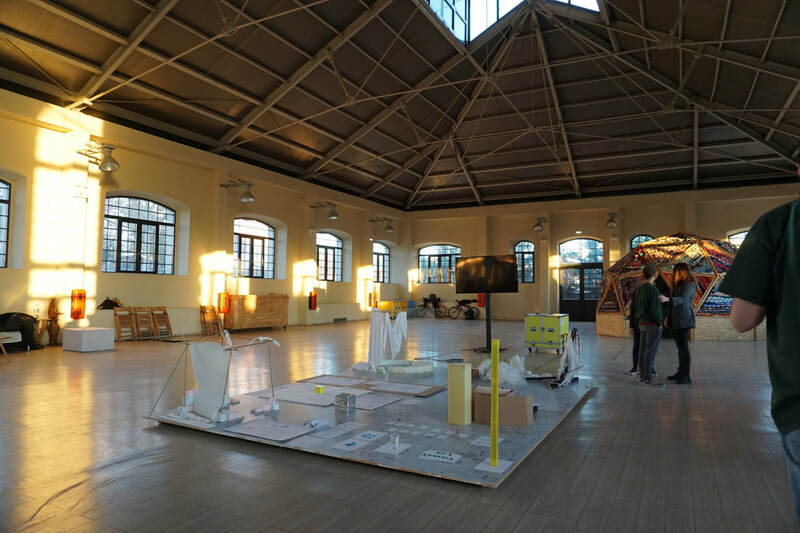 The participating projects were: Ok Thess, LABattoir, Hellenic Design Centre, Open Schools, Restart, Neighbourhood Rooms. 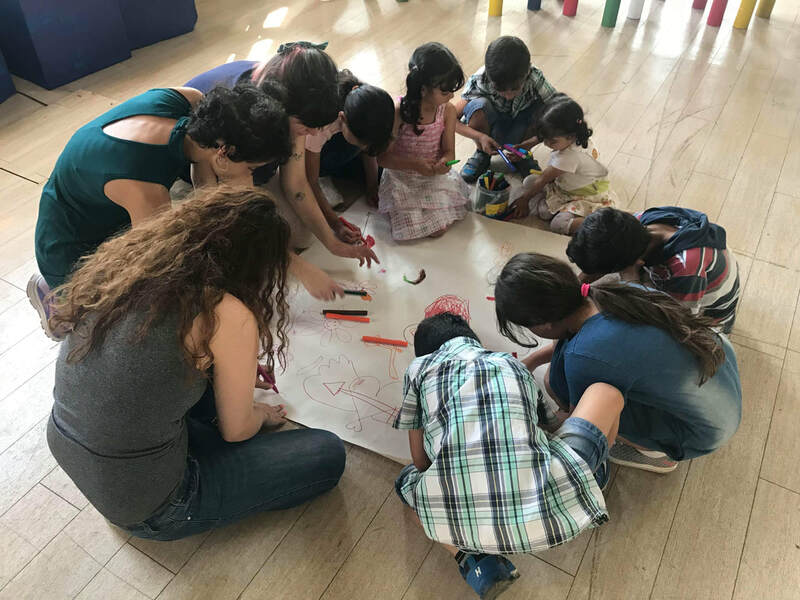 Students of the Theatre Department at the School of Fine Arts of Aristotle University of Thessaloniki (Course: "Theatre Games", Tutor: Martha Katsaridou) conducted three sessions of theatre games for moms and children - beneficiaries of Filoxenia International NGO. Hosted by LABattoir. Meeting with curator Iara Boubnova, and artists Luchezar Boyadjiev, Kiril Prashkov. Hacking Crowdfunding: The LABattoir Case workshop covered in a comprehensible way the crowdfunding methodology through successful examples and the use of practical tools. 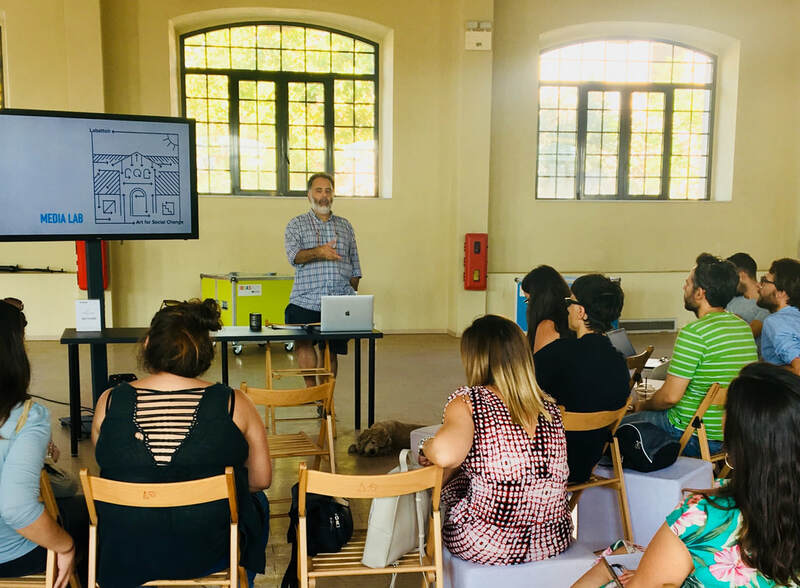 The goal through an educational process completed in six sessions was to prepare, with the participants' contribution, a future crowfunding campaign for LABattoir project. 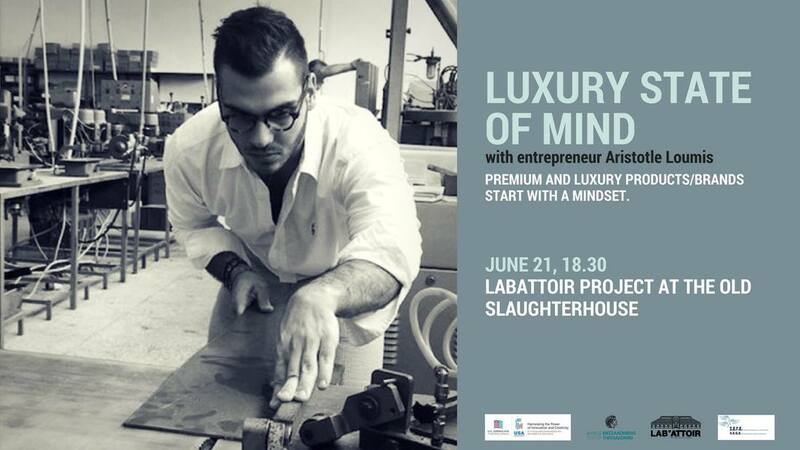 Facilitated by Argyro Barata from FEAST Greece in collaboration with LABattoir. 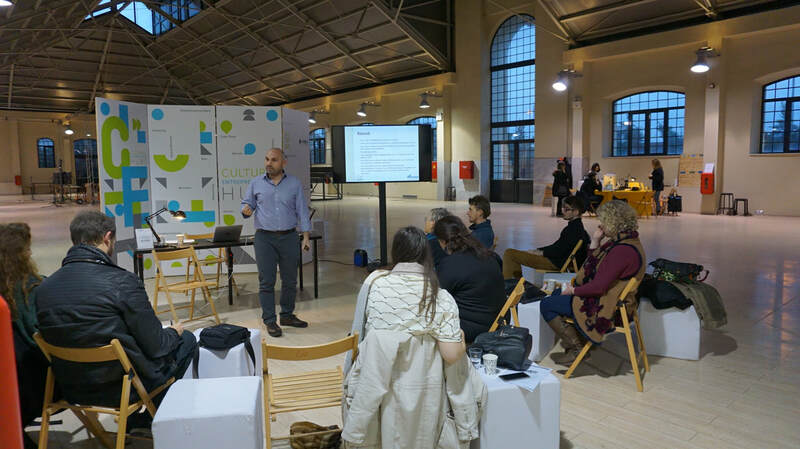 Goethe branches' employees visit and presentation of LABattoir program by Christos Savvidis. Panel discussion organised by Freiraum, a program of 40 Goethe Institutes around the world in collaboration with LABattoir. The panel was live broadcasted by Media LAB. Participants: Aftab Khan,Peter Foley (AWAZ Cumbria), Uwe Rada (German Journalist), Eleni Hodolidou (AUTH) , Valasia Symeon (Choreographer with reduced mobility), Chrisostomos Kalogirou (Development Counselor Thessaloniki Municipality), Ioannis Kotoudis (NGO Arsis), Panagiotis Sampanis (President of ROMA community), Theodoros Diamantopoulos (NGO PRAXIS). Based on the model of LABattoir, the second phase of Construction LAB (first phase: 27-30/11/2017) was realised from 19/3 until 23/3 and resulted in the creation of LABeta team (Living LABattoir) and the mobile kitchen of LABattoir (Kitchen LAB).